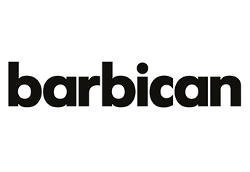 The Barbican, Europe’s leading Arts and Conference Centre, presents an unparalleled variety of performing and visual arts of world class calibre, as well as hosting extensive commercial activity. The Barbican Bars are looking to bring in a number of enthusiastic staff on a casual basis to provide support to the Bar Managers & Supervisors in the running of the Barbican’s Bars. The ideal candidates will have relevant bar and cocktail experience, and able to demonstrate a high quality of customer service and sales skills. You will need to enjoy and be confident working as part of a team as well as being productive when working independently. Some experience of visual merchandising and cocktail making will be an advantage as will a keen interest in the arts and awareness of current drink trends. As part of the Barbican Bars team, you will be able to cope well with pressure and show a strong ability to solve problems. A flexible approach and being able to learn new skills quickly is essential. You must be available to work in December except on 24, 25, 26 and 31 December 2017. To apply, please visit the Barbican website to download the application and for more information . All applications MUST include a completed application form as a CV will not be accepted. Closing date for applications is midday , 28 November 2017. Unfortunately due to the high volume of responses we receive, if you have not had a response by 5 December 2017 please assume that you have been unsuccessful on this occasion.